One of the hallmarks of our times is a commitment to and concern about the safety of both indoor and outdoor environments. We worry about car exhaust causing respiratory illness and the danger of BPA leaching into our drinking water. One threat that many think is largely in the past is lead contamination. However, our Oakland lead contamination lawyer knows that lead poisoning remains a public health issue and that people are still falling ill due to lead paint in older California homes. This week, the Oakland Tribune released a report examining a lawsuit brought by ten California cities (including San Francisco county and the city of Oakland) against paint manufacturers (including Sherwin-Williams and Atlantic Richfield). It is a fight that dates back 13 years, a billion-dollar battle about the role of the paint industry in covering the state’s residential landscape with lead paint. After dragging on for years including two visits to appellate courts which refused to dismiss the claims, a non-jury trial finally began on Monday. Santa Clara County Superior Court Judge James Kleinberg is presiding. Plaintiffs hope the court will find the companies liable and order the defendants to remove lead paint from about 5 million homes, at a projected cost of around $1 billion. They are suing under a public nuisance theory, alleging the paint created “a substantial and unreasonable injury” to all individuals exposed to the paint in older homes. The claim includes allegations that the paint companies sold lead paint despite knowing that it posed a threat as early as the 1890s. According to pre-trial orders, the plaintiffs do not need to show harm to specific families. Instead, they need to show that there is a reasonable basis for concluding the paint industry was involved in creating a public nuisance that affected a considerable number of individuals. One issue the court will face is whether or not a significant number of children currently have elevated levels of lead in their blood and whether it is traceable to lead paint. The parties point to dueling studies on the subject. 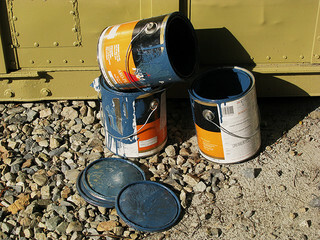 Paint companies say they never deliberately sold a hazardous item. They also suggest that lead paint no longer poses a significant public health threat to Californians, claiming instead that public health officials successfully addressed any possible dangers tied to lead paint. Defendants also suggest a cleanup might actually cause more harm than good by stirring up lead dust that is safer left alone. While the U.S. banned lead from use in household paints in 1978, many older homes still contain lead paint. Lead is a serious issue because it can cause serious damage. Discussing the danger of lead poisoning, the Mayo Clinic notes that even low level exposure can lead to severe health consequences, especially in children. Not only are children’s systems more vulnerable, they also run a higher risk of exposure because they may put their hands or a toy in their mouth and consume paint particles. Lead can lead to irreversible damage to developing brains and can harm the kidneys and nervous systems in people of any age. Very high levels of lead can lead to seizures and even death. While blood tests can reveal elevated levels of lead in the blood, there are no early warning signs of lead poisoning. Lead can also harm a developing fetus. We will continue to follow the progress of the suit by the California localities. We are also available to help individuals made ill by lead, including those affected by lead-based paint. As an Oakland landlord-tenant law firm, we can help when the lead exposure occurred in a rental property. We also have broad experience in toxin exposure, including cases involving exposure in the workplace. If you (or your child) have experienced lead-related illness, please call to schedule a free consultation.